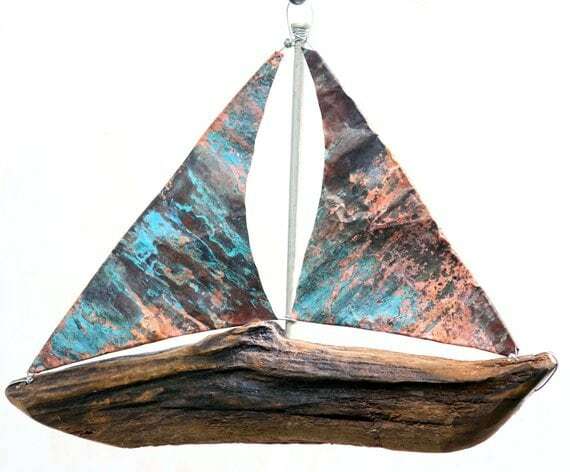 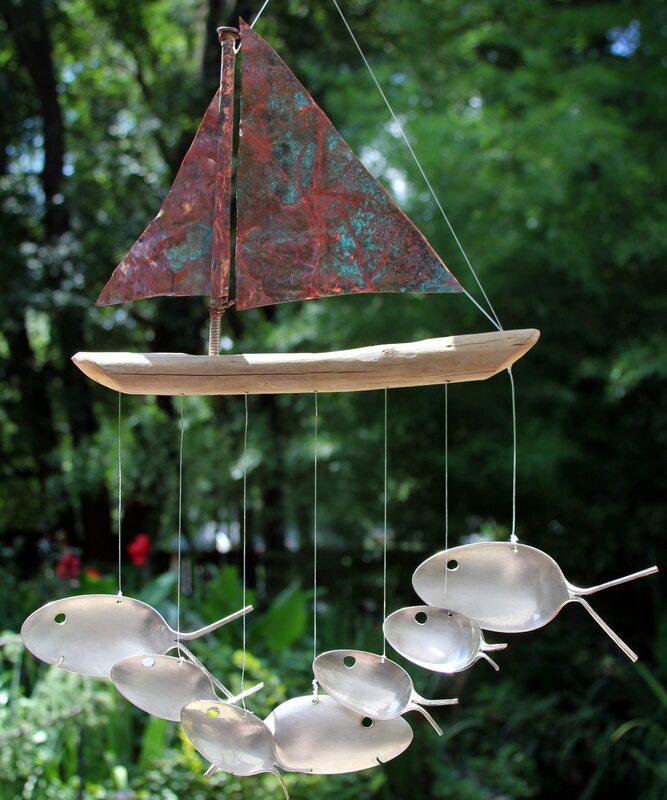 Five Silver Spoon fish Sailing beneath a natural driftwood boat complete with aged copper sails. 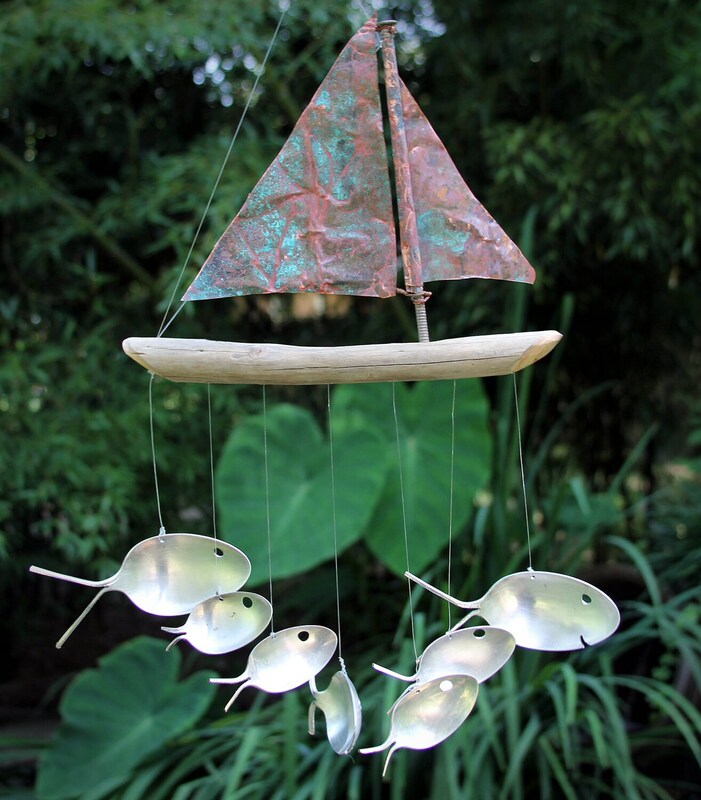 Seven Silver Spoonfish Sailing beneath a natural driftwood boat complete with aged copper sails. 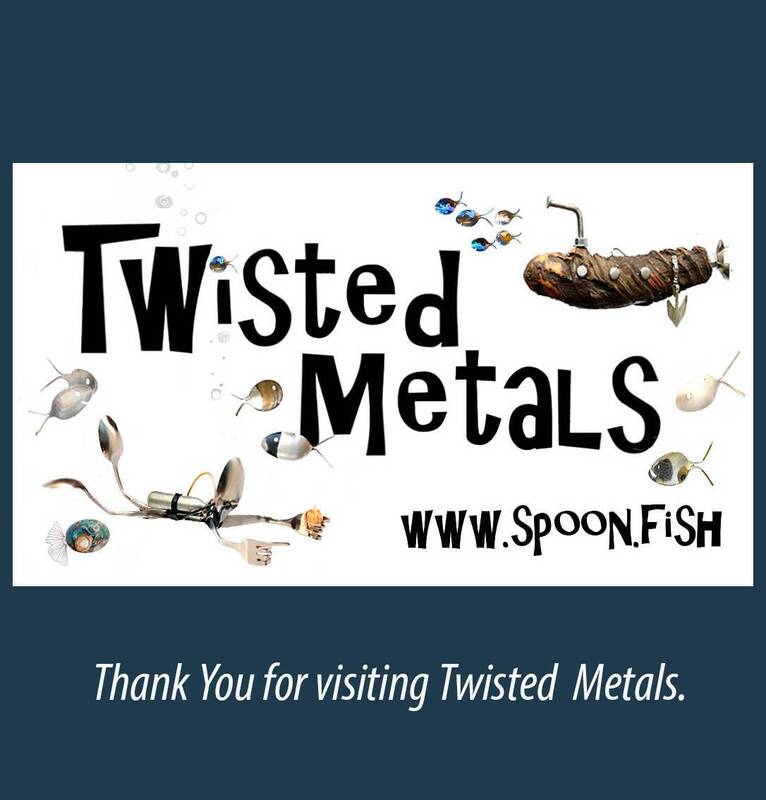 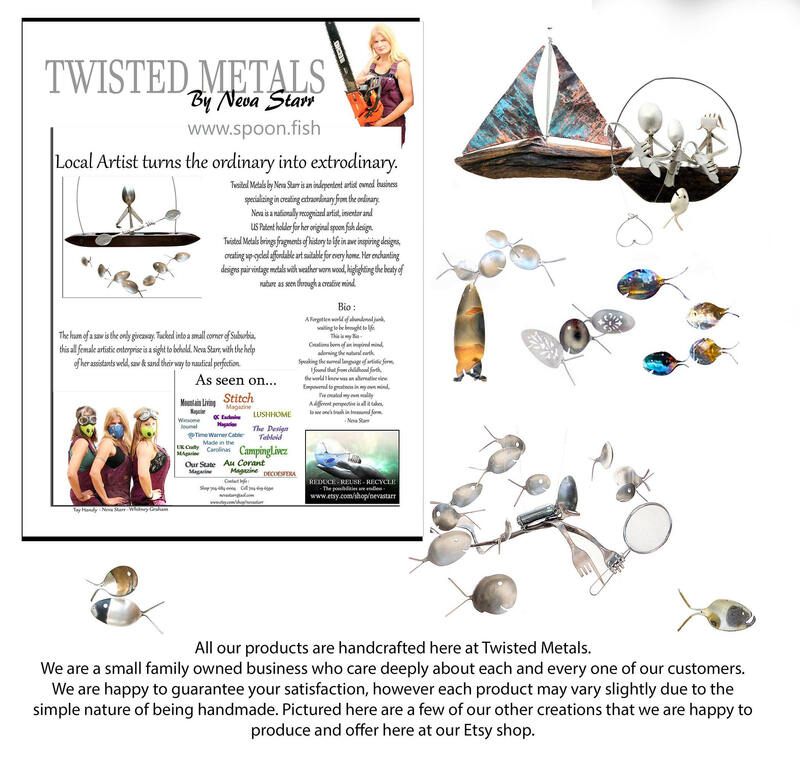 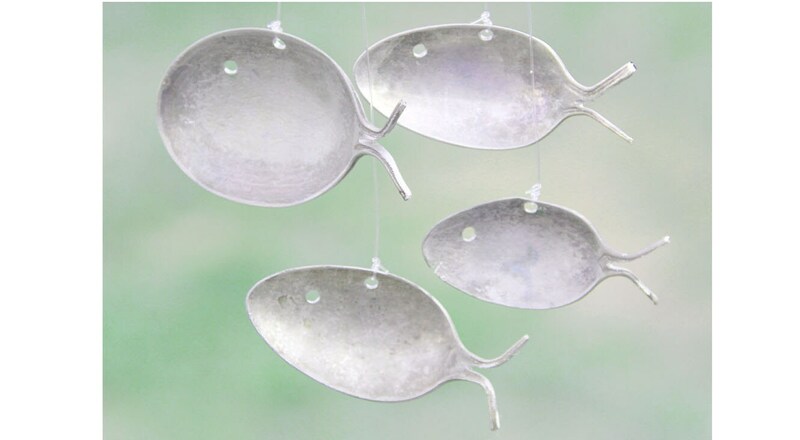 These delightful wind chimes are upcycled from antique silver plated utensils dating back as early as 1786. 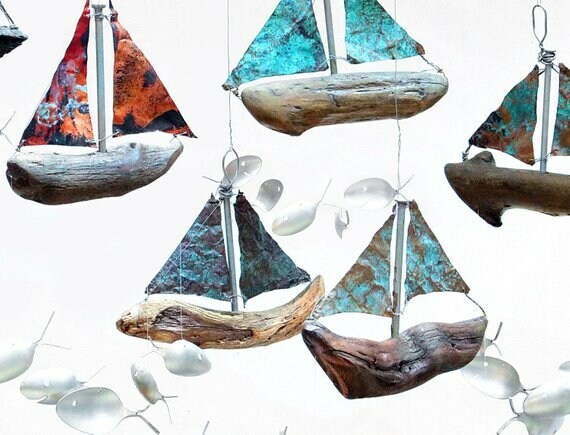 Each set is unique and has a wonderful patina that only time could bring. 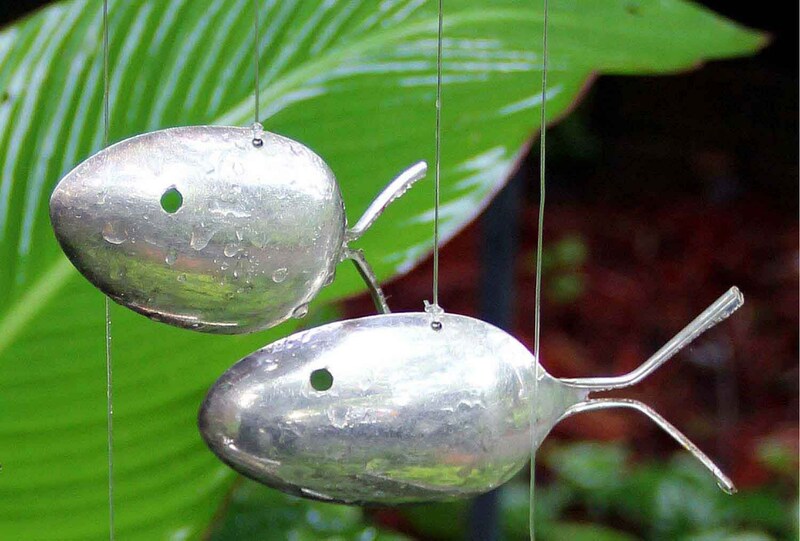 Sit back, relax and listen to the gentle sounds as they whisper stories of centuries past. 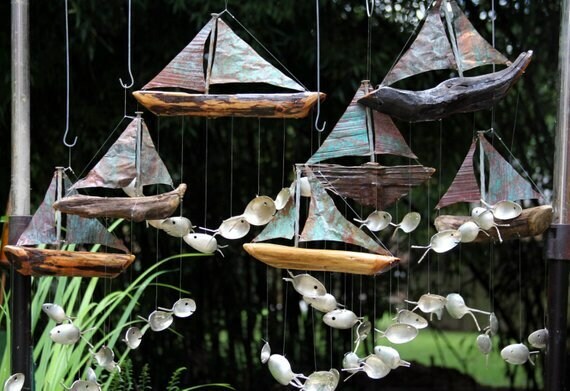 Each set is unique,yet just as charming as the ones pictures above. 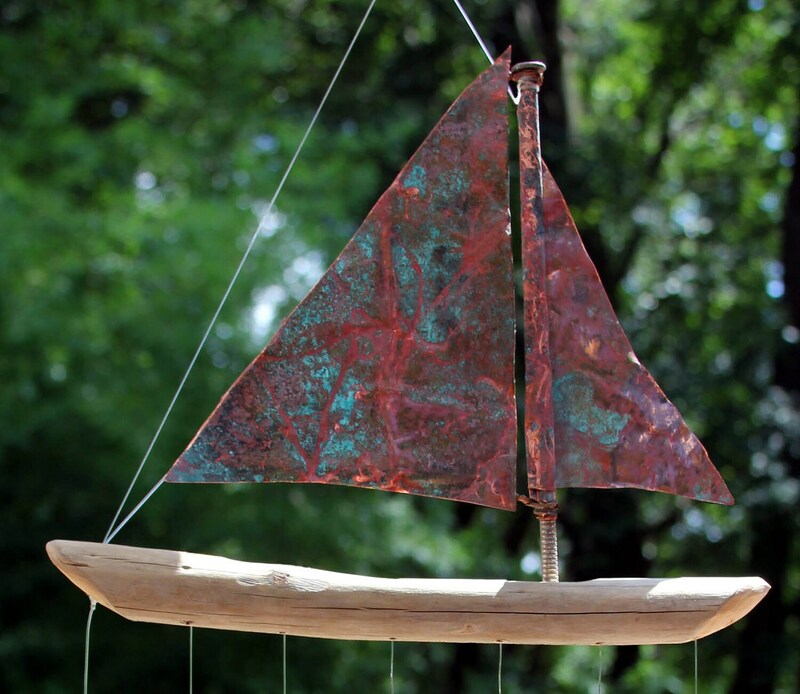 Each boat & sail is handcrafted, cut & sanded.